Seeing as it is starting to get cold and the nights are getting longer it is clear to see that winter is well on its way. So I am going to give a list, including recipes, of warming boozers to help kick Winter in the keester and warm those old bones! And, after Laura's brilliant post in October, I wanted to contribute to warming the nation! 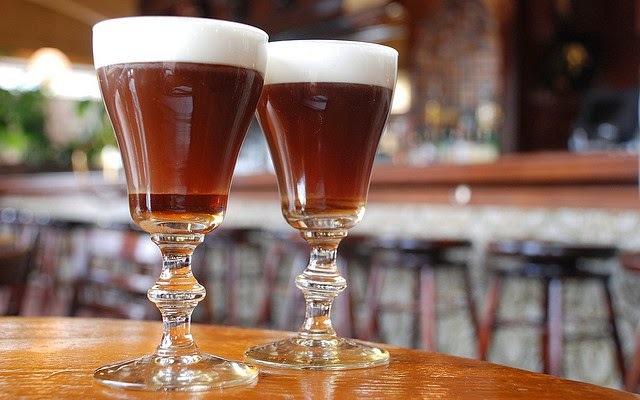 Ingredients: 1.5 ounces of Irish Whiskey, 1 oz syrup (brown sugar and water), coffee and cream. Process: Simple. Just chuck it in a glass and top with cream. Bobs your uncle. One for those with a slightly sweeter tooth and a penchant for that famous Irish Liqueur. Ingredients: 1/4 cup cocoa powder, 1 tbsp granulated sugar, 1 small pinch salt, 3 cups of milk, 4 oz milk chocolate chips, 2 tsp vanilla extract, 1 tsp espresso powder, 3 oz Amaretto and 4 oz Irish Whiskey. 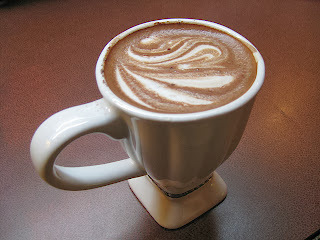 Process: In a saucepan, stir the cocoa with sugar and salt. Stir in the milk and chocolate chips. Heat this over a medium heat, stirring at all times until the melted mixture is hot and completely blended. Add in the vanilla, espresso, amaretto and the whiskey, stirring until completely combined. Pour into a glass and top with marshmallows (optimal, but highly recommended!). Possibly the best sounding drink ever? I can imagine making a batch, filling up a thermos flask and going on an early evening stroll sipping and stumbling along with this brew. Ingredients: 2 tsps black pepper corns, 2 cups fresh cranberries, 1/4 cup of honey, 750 mls Riesling, 1/4 cup sage leaves, 1 cup of benedictine liqueur. Process: Warm the peppercorns in a saucepan over a medium heat until fragrant (2 mins approx). Add cranberries, honey and 1 cup of the Riesling. Simmer over medium heat until until a syrupy texture (7 mins approx). Break up cranberries, add the remaining wine and sage and simmer for approximately 2 mins. Then strain the liquid, crushing the cranberries further, and serve with benedictine liqueur. This can also be chilled in the fridge and enjoyed cold. An absolute classic with a fruity twist. A hot toddy is perfect for winter, especially when you're starting to get a case of the sniffles. And when made with apple brandy it gives a slightly sweeter, more approachable drink. Ingredients: 1 oz Calvados, 1 oz honey liqueur (Barenjager Honey/clover honey) or alternatively just use 1 tbsp runny honey, 4 ozs boiling water, 1 dash ground nutmeg, 1 cinnamon stick and 1 lemon wedge. Process: Pour the Calvados and liqueur into a heat proof glass before adding the hot water and nutmeg and stir with a cinnamon stick. To top it off, add the lemon wedge. Simples. This is just a small selection of the hundreds of choices for warm winter drinks. It's just a few of my favourites, so jump in and warm up!